We’re excited to share with you all that we’re taking a new step in the DEV journey. We have taken on some new investors in order to help keep the lights on and grow our inclusive community of software developers. We set out to raise about $750k from open-source enthusiasts and authentic supporters of the DEV community. With an overwhelming amount of enthusiasm, we wound up raising about $950k in order to get a lot of great folks involved. Importantly, we still have a three-person board consisting only of myself, Jess and Peter. Our founding team, therefore, still has full control over the project’s direction. We fundamentally saw this process as a way to bring in some great new partners from the industry. Our new backers will help us build DEV into the best version of what it can be. That’s probably what everyone says, but I think it’s quite true in this case. In order to ensure that the round was made up of good people who understood our values, we took checks as low as $5k from developers and industry professionals who qualified as accredited investors. Our lead investor is OSS Capital, led by Joseph Jacks. Joseph founded Kubecon and is a very active participant in Kubernetes and other open source initiatives. As the fund's name might imply, they invest exclusively in open source, and we are actually their very first investment. Here is the list of the rest of the investors involved. We're keeping the bios relatively brief, so we can’t do everyone full justice. Amjad Masad — Founder of repl.it, formerly founding engineer at Codeacademy and Facebook engineer. Contributed to Babel and other projects. Tracy Chou — Software engineer/entrepreneur, formerly at Pinterest, Quora and other. Founding advisor for Project Include. Charge Ventures — NY-based pre-seed venture fund that loves technical projects. 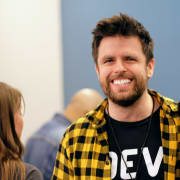 The founding team, especially Brett Martin, has specific experience and insight related to building social platforms. Ohad Eder-Pressman — Programmer, entrepreneur and angel investor. Founded AppSharp & 3D3R Software. Early Investor in Netlify, IFTTT, and others. 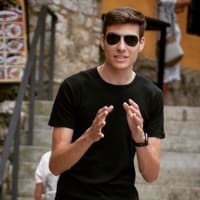 Alex Sirota — Programmer, entrepreneur. Founder of Loop Commerce, creator of several web tools you’ve probably used. Matt Biilmann and Christian Bach — Founders of Netlify. Brianne Kimmel — SaaS Investor, previously GTM and Tech Integrations at Zendesk. Jenny Fielding / Eclectic Fund — Entrepreneur and Managing Director at Techstars. The Fund — Early stage venture fund comprised of over 75 NYC-based founders and operators. Co-Founded by Jenny Fielding, Matt Brimer (Co-Founder of General Assembly), Katie Hunt (Third employee @ Warby Parker, Chief Brand Officer @ Hinge), and Adam Carver (Previously Director of Business Development @ Angelist). Bruce Karsh — Co-Chairman and Chief Investment Officer at Oaktree Capital. Boling Jiang — CEO at Privacy.com. John Xie — CEO at Taskade. Mike Rothman — CEO at Fatherly. Peter Wang — CTO at TheMighty, previously CTO at Refinery29. So, what’s next for DEV? In short, nothing too glamorous. Our day-to-day is going to be more of the same. The new funds will allow us to prioritize sustainable growth and value-enhancing features. We have come this far by being community-first and we want to evolve this technology platform to be as great as the people who spend time here. We have humble origins, and really just want to repay the community for the amazing encouragement along the way. We will be able to make a few new hires (check out our new openings), but we will be maintaining a modest team size as we continue to build a healthy open source project. We will continue to experiment with and eventually launch new career and education-oriented initiatives. Above all, we’re going to do our best to build this business in a sensible way. Our long-term vision and goal are unchanged: we’ll keep striving to provide an inclusive space for the world’s software developers to evolve their craft. Same book, new chapter. Happy coding! We're so thankful to have partnered with investors that understand and share our long-term vision and priorities. This entire project only works because of the incredible and ongoing contributions from all of you in the DEV community — we'll work hard to always respect that relationship as we grow and evolve. Thank you for being an integral part of this journey! Wow - congratulations Jess, Ben, Peter and the entire DEV team. I continue to be impressed by how deliberate and measured you have been in every decision made, and it's inspiring. Here's to the next phase and future! Your support has been incredibly motivating. Day officially made!! 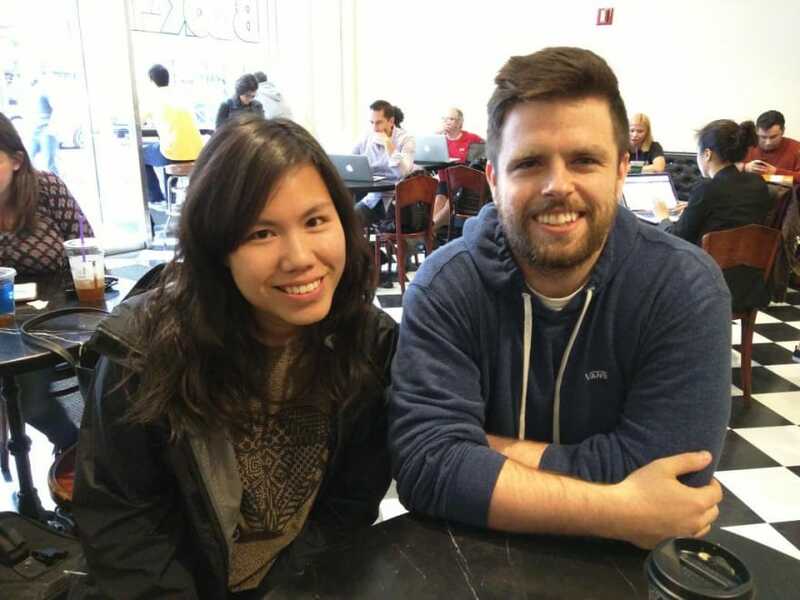 Met the amazing @bendhalpern and @jessleenyc - the quirky + creative minds behind @ThePracticalDev best coffee ever! OMG!! This. I remember this day so well - and its incredible how far you've come while still retaining that core focus & principles that you were articulating then. I am super grateful we met and feel privileged to know you both. Not sure from the tech perspective, but from the larger fact that you are teaching me (and so many more) about empathy & inclusivity by action. Thanks for being a part of this journey everyone. We look forward to working with everyone to build the platform that our community deserves. Congratulations to your team and the dev.to community at large! Excited for what's to come and happy to be part of the journey. Thank you so much, Amjad! Can't wait to see how we can work together to create the best possible developer ecosystem. Congratulations! The dev.to community has been the most friendly and constructive Internet community I've interacted with. Hope that the investment results in even more awesome developers joining this community. Thanks for the incredibly kind words. Our intent is to double down on all the efforts that have gone into fostering this so far. Well done Ben, Jess and Peter :-) You've been building an awesome community here and I'm glad to be a part of it. Thank you Michael! I feel like we've occasionally been too busy to even make use of the wonderful support and help we've gotten from folks like you and @nickytonline and many others. And the fundraising process really didn't help that. But the future is looking really wonderful and we will be looking to improve our communication patterns with some of the amazing devs on the site like yourself. I'm really happy for you and Jess and Peter. You are such a big part of our 'little' community, and looking forward to all the wonderful things that will come next. Wishing you success and propensity for years to come. Thanks so much!! Your support has been truly amazing Nick! This is only the beginning of something that will keep growing and becoming more special. You guys are awesome. I'm so proud of what you guys have made. Expect a resume from me shortly lol. Thanks Jerod, much love back at you! Holy guacamole this is incredible news for the entire DEV team. I struggled to find a dev forum that I liked and could stay in, after being here for over a year that's now over. So glad and thankful for the people that have helped keep this site alive, all the work that has been done by the core team and open source contributors is astonishing and inspiring. Cannot wait to see what's installed for the future! Congratulations to @ben , @jess , @peter , and the entire team! I love seeing this solid growth and knowing I can continue to enjoy quality articles and comments from this community. Looking forward to the next evolution! This deserves a slice of pie 🍰! Congratulations on the milestone accomplishment dev.to team! I wish I would have been able to jump on board with this as I would have loved to get involved. So honored to partner with you all and be a part of the DEV family! Can’t wait to do big things together! Wow amazing! I'm so happy about this move you folks made. Thank you Rhymes! We honestly couldn't have done it without folks like you who have really gotten it. We look forward to a long and awesome relationship. Thanks Benny! You've been such an uplifting member. It's a pleasure. This project is really refreshing, both technically (blogging in markdown! woohoo!) and socially (inclusivity, transparency, beginner-friendliness) and I think it's time has come. I'm wondering and hoping that the new career and education-oriented initiatives will be the monetization / revenue streams, and everything so far should stay the same? Things are generally going to stay the same, but we will be exploring features relating to training on new skills and finding new career opportunities. We actually already do some of this stuff, but it's all pretty experimental. It's all based on opt-in, the last thing we want to do is be annoying or extracting in any way. That's why we don't want to lean too far in on the sponsorship stuff we do. If we did too much of that it would take away from the core experience. A healthy commercial component to complement the rest of the ecosystem is what we're going for. DEV has something special, I can't put my finger on it. Now with investors you can keep up this amazing platform! Congratulations! Congrats on the round and on having built an awesome, welcoming and inclusive community. Excited for what's to come and for being part of this!